Subscribe to Patriots Gab via RSS Feed or E-mail and receive daily news updates from us! That an easy one: Patriots over Bills. 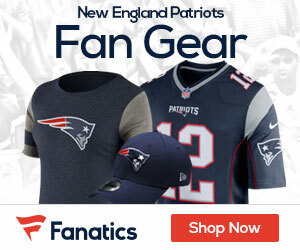 Sign up to receive our daily Patriots Gab newsletter, and keep up to date with all the latest New England Patriots news. Celebrity Seats has all the best New England Patriots Tickets, Boston Red Sox Tickets, Boston Celtics Tickets, and Boston Bruins Tickets!